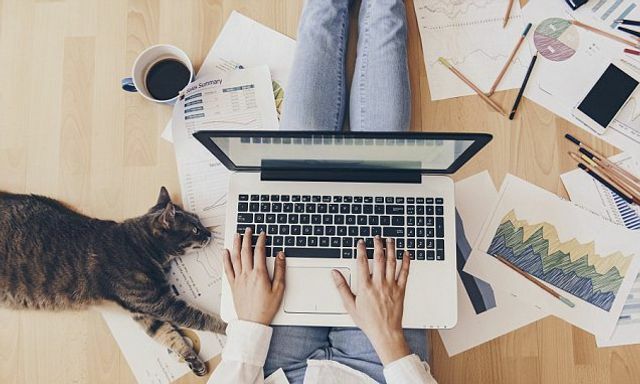 Have you ever considered starting a business from home? If so you are not alone. Starting a business from home has become increasing popular due to the advantages it presents. Examples include being able to save time and money on commuting and it can also present a healthier work life balance. This is due to the flexibility it offers, such as being able to choose the hours you wish to work e.g. if you have children and you need to take time off work it would be easier to do than if you were employed. However, it also presents a number of disadvantages such as working in isolation and potential distractions from family or friends interrupting or visiting you. There are a several different businesses that you can start from home that involve little or no change to your property, for example a virtual personal assistant, event planner or an online seller. It is also worth considering if your business will have an impact on your neighbours. You do not want to receive complaints that your business activities are disruptive or cause a nuisance, which may lead to you having to relocate your business. You usually don't have to pay business rates if your business is home based and you sell goods by post or if you only use a small part of your home for business purposes. It's advisable to check your specific circumstances with your local council before you start trading from home. You should also check with your landlord or mortgage provider if you need their permission to run a business from home. •Sell goods or services to people who visit your home. •Public liability insurance: Protects you if clients or members of the public suffer personal injury or property damage because of your business. •Employer liability insurance: Protects you against the cost of compensation claims arising from employee illness or injury, sustained as a result of being at work. •Product liability Insurance: Protects against claims for personal injury or property damage caused by a product your business designed, sold or supplied. •Professional Indemnity insurance: Cover for businesses that give advice or provide a professional service to clients. Those who work from home put in more hours than if they were in the office and are more likely to go above and beyond what is required.